Oliver Bevan (b. 1941) was a pioneer of Op Art in the United Kingdom early in his career. While a student at the Royal College of Art, he came into contact with the work of Victor Vasarely and spent the next two decades exploring the intersection of geometry, color and visual perception. Alongside Bridget Riley and others, he helped develop the Op Art movement in England. In the 1970s, he became interested in how the human eye absorbs light and experimented with projecting light onto mobiles. 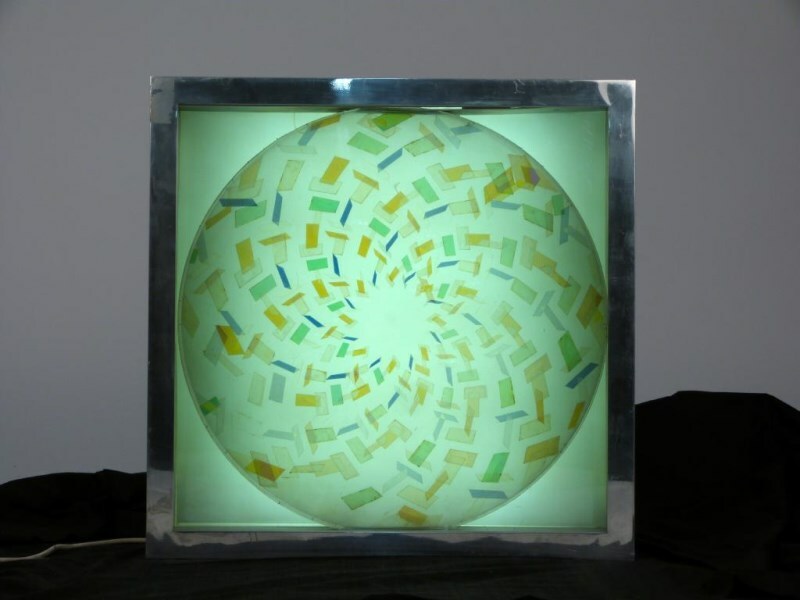 These experiments led to a series of kinetic lightbox works he called ‘chromotropic paintings’. Using Polaroid gels, electric motors and fluorescent lights, this series embody his ideas about how light, shape and motion can be deployed to create a sense of soothing visual stimulus.